Small cap medical device company with a CY2018, good probability FDA catalyst. 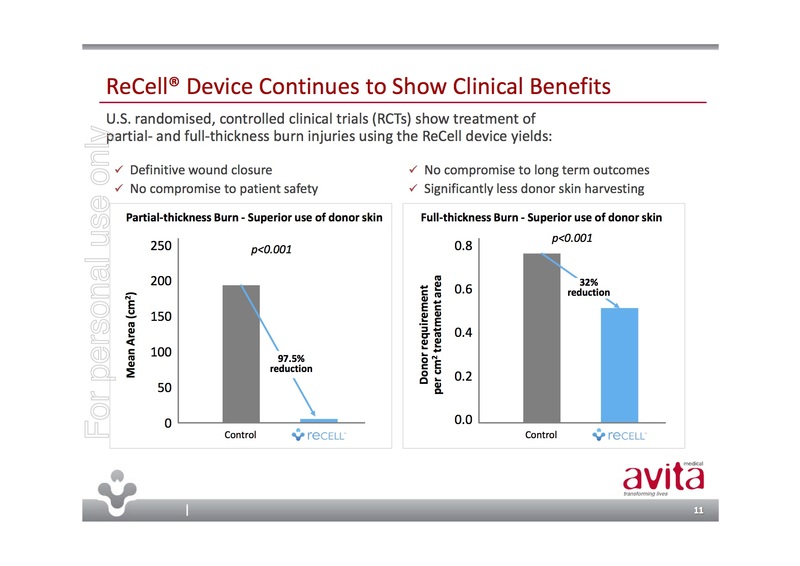 Avita Medical is a medical device company whose ReCell product provides a unique approach to skin regeneration – think of spraying on skin for burn victims. ReCell’s “autologous cell harvesting device uses a proprietary enzyme formulation to create a spray-on skin replacement in 30 minutes” with the benefits of both the donor site requiring much less skin and the repair site showing superior healing and cosmetic outcomes. Unlike many pre-FDA devices, ReCell is already selling and is currently in use in 16% of US burn centres with the FDA having already approved it for compassionate use. 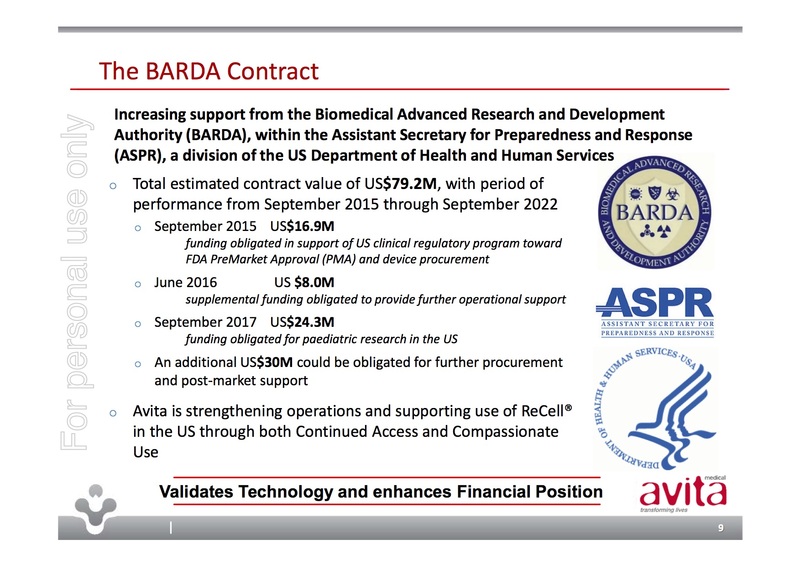 Additionally, the FDA approval process has been in partnership with the US Biomedical Advanced Research & Development Authority (BARDA) who have helped fund trials and the FDA application through an estimated USD$79.2m contract from Sep 2015 through Sep 2022. Importantly, ReCell’s Premarket Approval Application was filed with the FDA on 28-Sep-17 and granted priority review with hopefully, PMA approval anticipated in Q2/Q3, CY2018. The near-term commercial opportunity would be the USD$2.2B large burns market in the US. The obvious risk is the binary nature of potential FDA approval/non-approval of ReCell. Given the FDA’s Continued Access and Compassionate Use protocol approvals and the subsequent increase in approved investigational sites from 8 to 15, as well as BARDA’s support, the odds would seem to be in favour of approval but the actual outcome is uncertain. Hence an appropriate portfolio weighting is crucial. 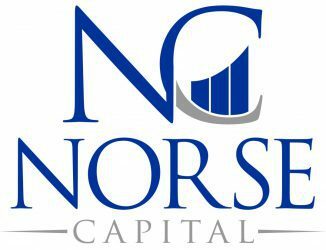 In addition, the well credentialed new CEO Mike Perry (with previous experience at Novartis, Baxter, and Roche) will have to overcome a disappointing longer-term share-price history and potential shareholder angst at being gifted just under 5% of shares in incentives. The performance hurdles though for ~67% of the incentive rights include FDA approval, BARDA procuring USD$7.6m of ReCell devices, and 2x, 3x and 4x share price performance from 6.1c which should see shareholders at these levels well rewarded should the hurdles be realised. At 6.6c for a diluted MC of ~$70m and EV of ~$57m (excluding options and rights struck way above the current share price), the share price has increased over 40% from our initial purchase in under 3 weeks which poses another risk. However, the upside from potential FDA approval could be substantial.